Made with a very sturdy clear acrylic, this is a three-tiered desktop shelf. Each tier is angled for a slanted display and the top panel can be used for storage as well. I'm not sure what this mini shelf was originally designed for but it is literally the perfect storage solution for essential oil bottles. As you can see in the image above, each tier fits five to seven 5ml to 10ml bottles. 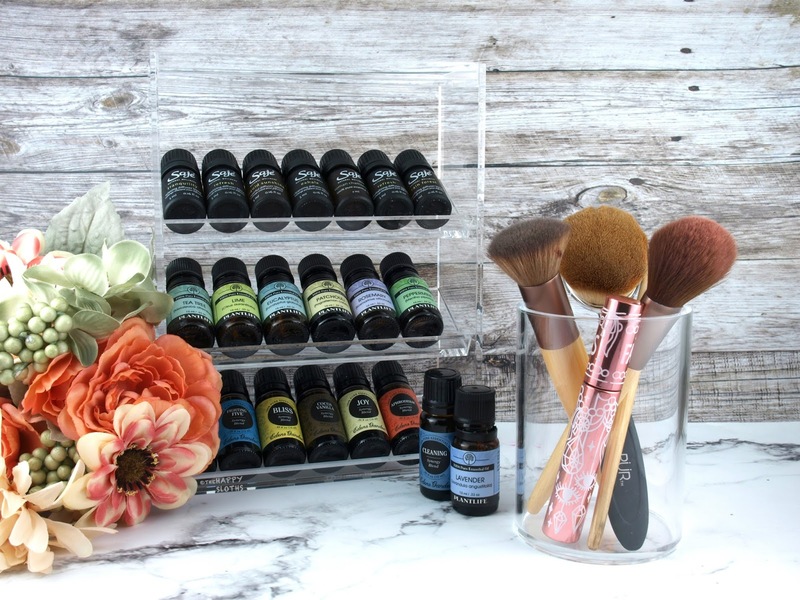 I used to store my oils in a drawer but with the angled shelves, I can clearly see the label of each bottle while keeping everything standing upright. If you want, the stand can also be used for storing lipsticks, as long as they have a regular-length packaging. 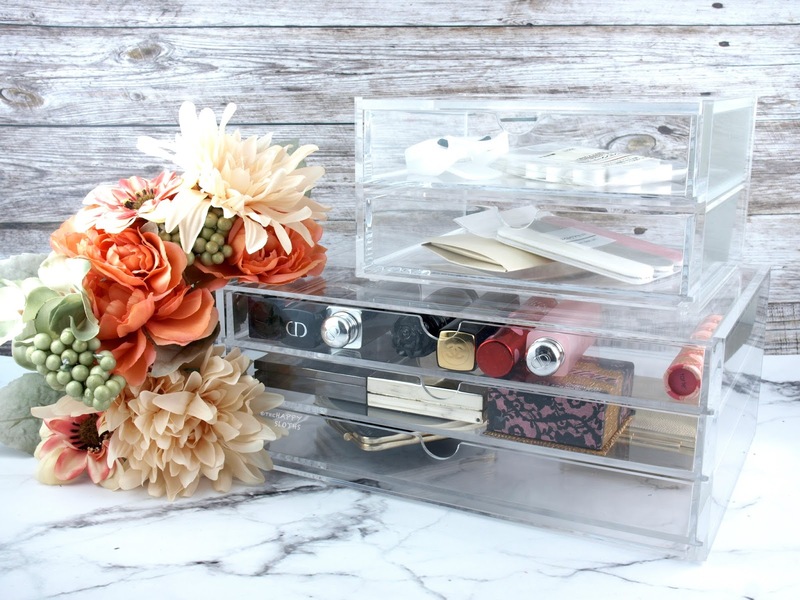 This is a simple clear acrylic pot designed for storing stationery, makeup brushes, and various grooming supplies. The design looks super sleek and minimalist and the price is pretty affordable. With four or five of them, I can probably organize my entire brush collection so everything is easily within reach. 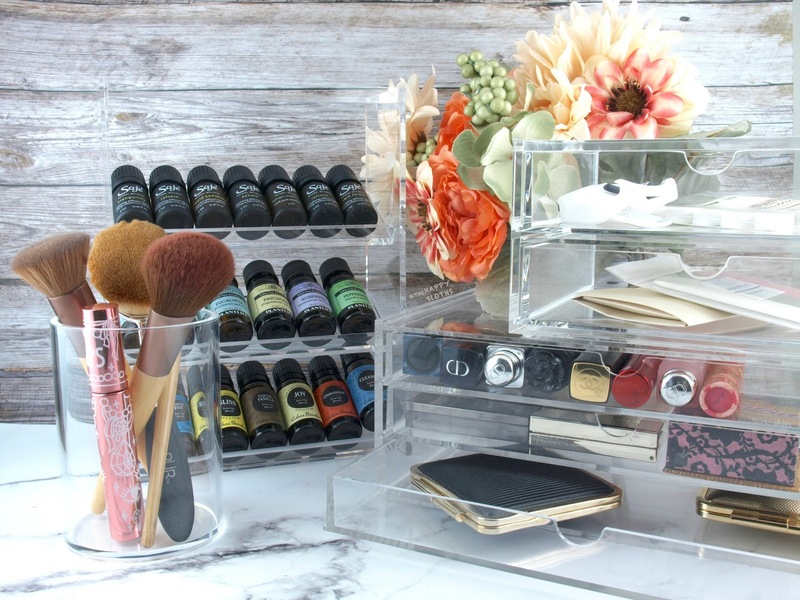 With three drawers, this is a fairly large clear acrylic storage perfect for organizing jewelry, makeup, and stationary. 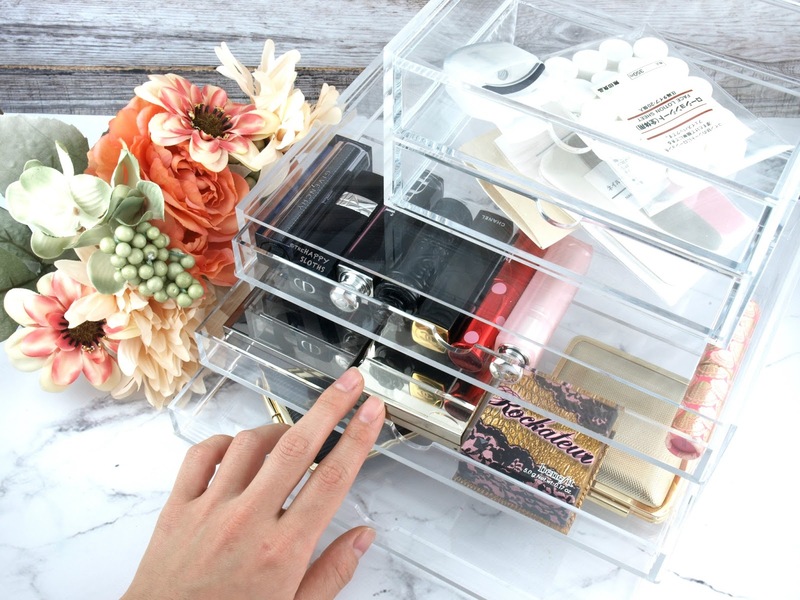 Inside each drawer you can easily house regular-sized compacts and palettes but the unit is probably best for storing lipsticks. Each tier can neatly fit two rows of regularly sized lipsticks. $49 is a hefty price to pay but the Muji quality is simply unbeatable. You can find similar mini drawer units online but the craftsmanship will be noticeably inferior. With that said, because the drawers aren't anchored with sliding tracks, they are a bit difficult to smoothly pull out and push back in, especially if you end up storing very heavy products inside. 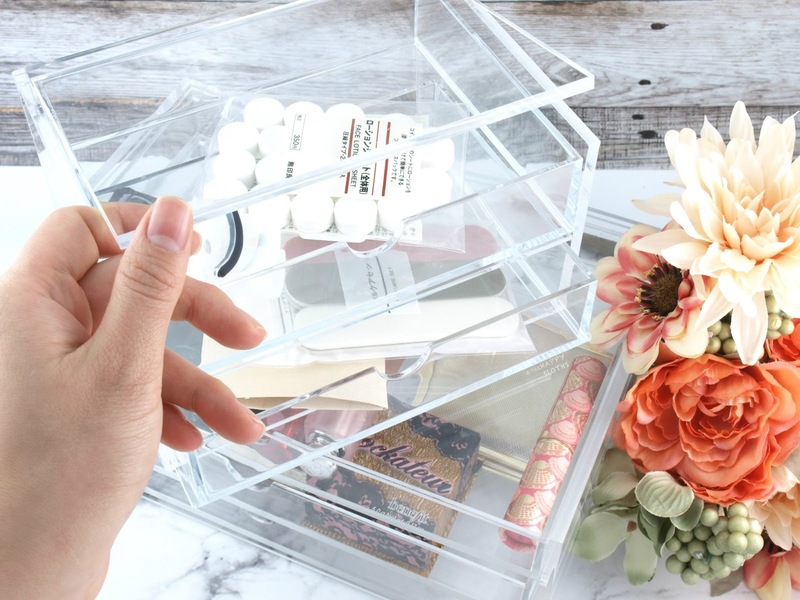 So I think these are best for storing things that you use only once in a while, as opposed to makeup or stationaries that you use on a regular basis. A smaller version of the unit above but with deeper drawer, this two-drawer unit has a flip-up top for easy retrieval of its contents. The quality is just as good and it's very compact but practical. One thing I didn't mention is that Muji offers very snazzy drawer liners made specifically for its mini acrylic storage units. With a velour divider like this one here, the unit can be easily converted into a beautiful jewelry case. The dividers range from $7 to $15 so the price can really rack up but they really are practical! Plus, I have seen the storage products go on sale every once in a while so if you want a fully decked out Muji storage system, keep an eye out for sales. How do you store your makeup? Do you use any special storage units? Share with me in the comments below! MUJI is available in stores in Vancouver at its Metrotown and the new Robson location. To locate a MUJI store in Canada, click here.